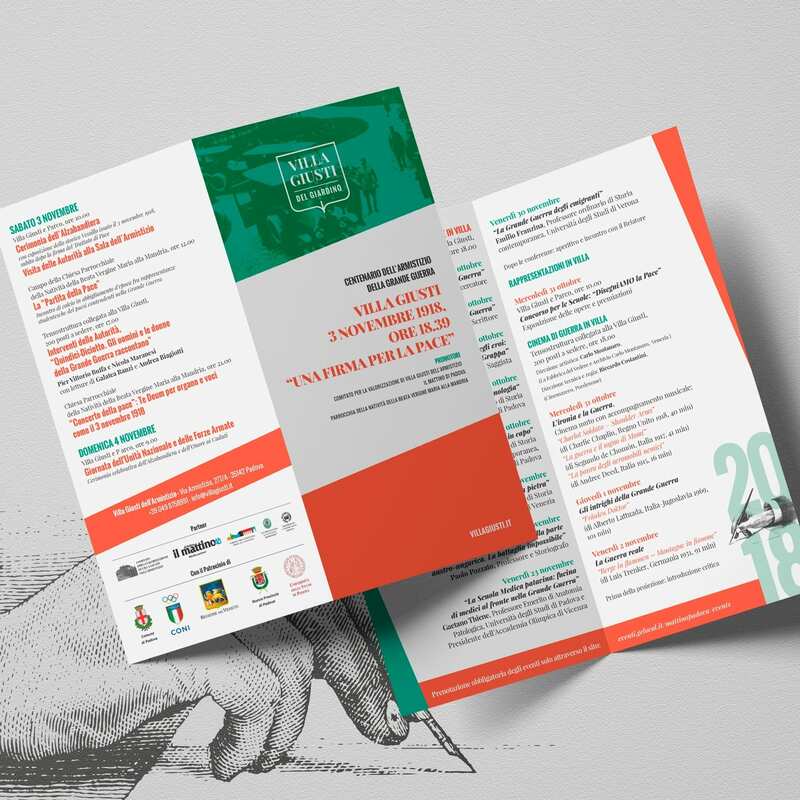 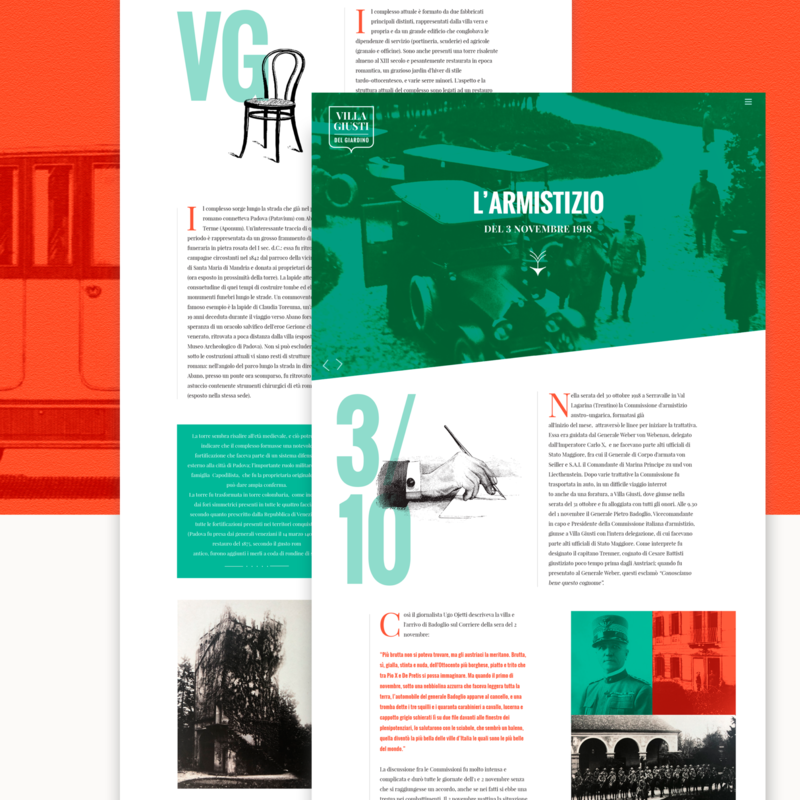 It was an honor for us to work on the redesign and branding of a historical residence that was the site of the armistice that ended warfare between Italy and the Austro-Hungarian Empire on November 3rd, 1918 during World War I. 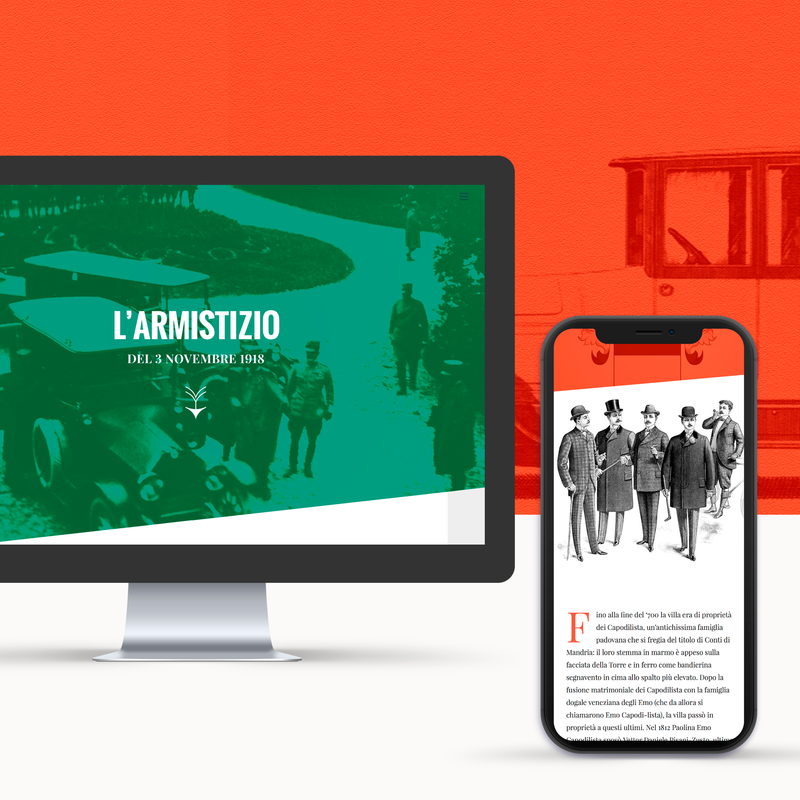 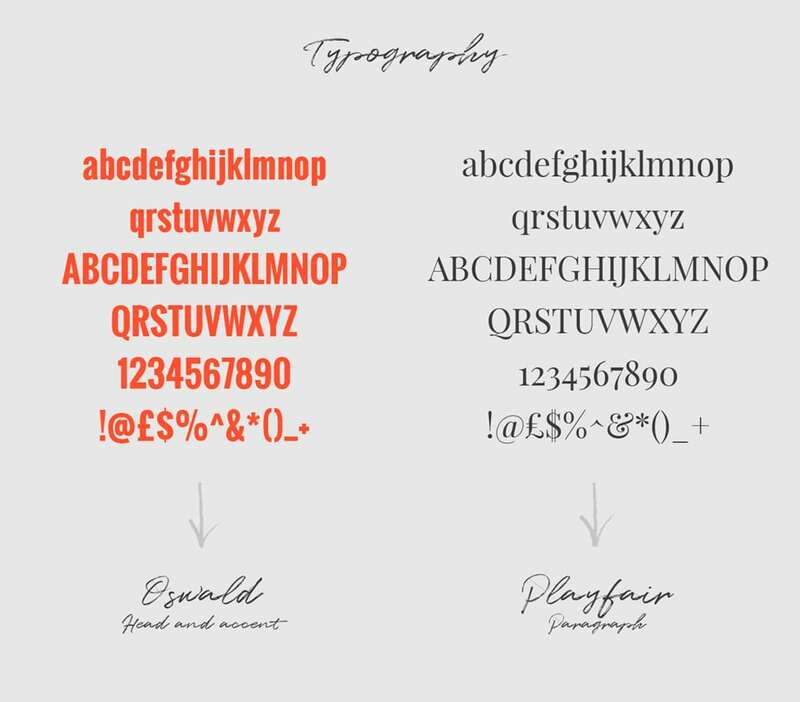 Thanks to the determination of the Lanfranchi family, today, Villa Giusti gives life to a project of regeneration with the creation of a new logo, brand identity, and website. 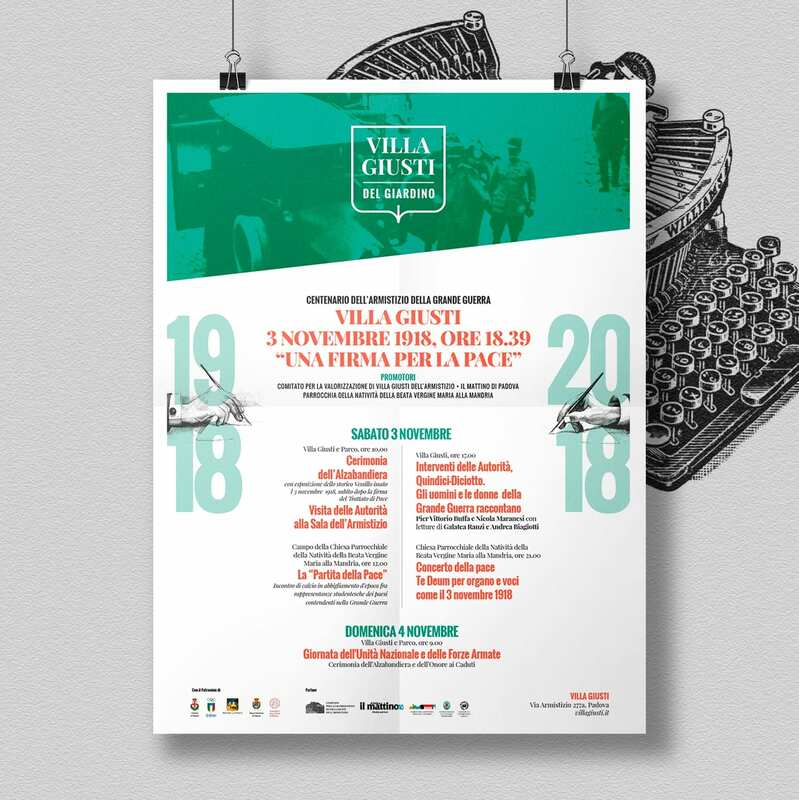 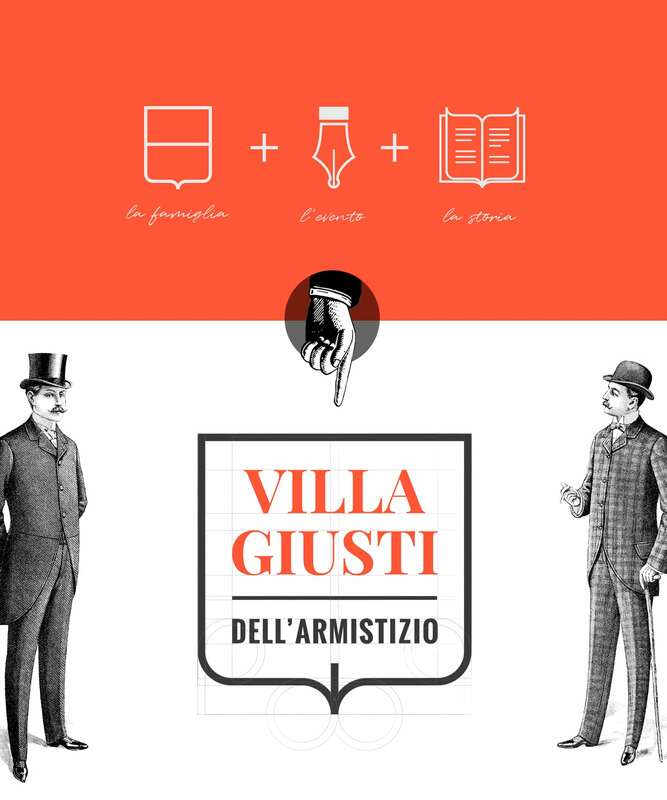 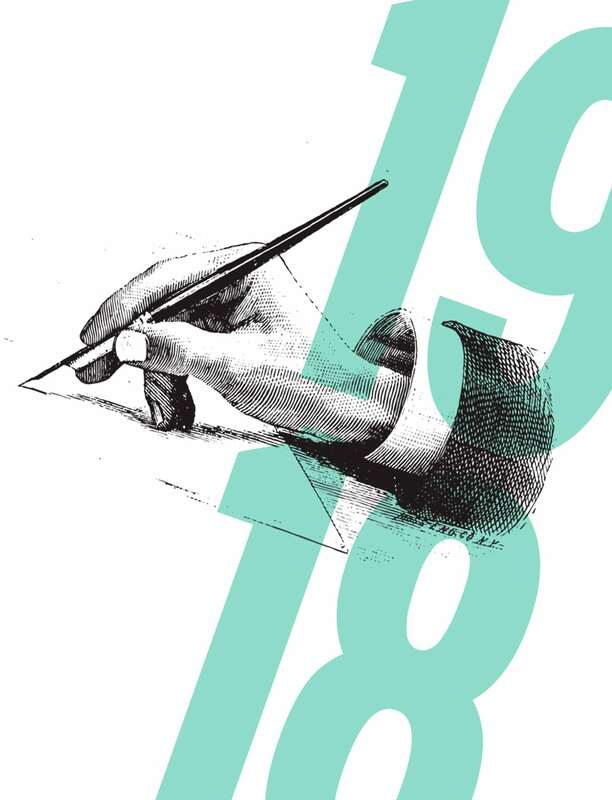 Our goal in creating the logo was to make a connection between history, Italianness, and the armistice, all unique elements that distinguish Villa Giusti from other Venetian residences. 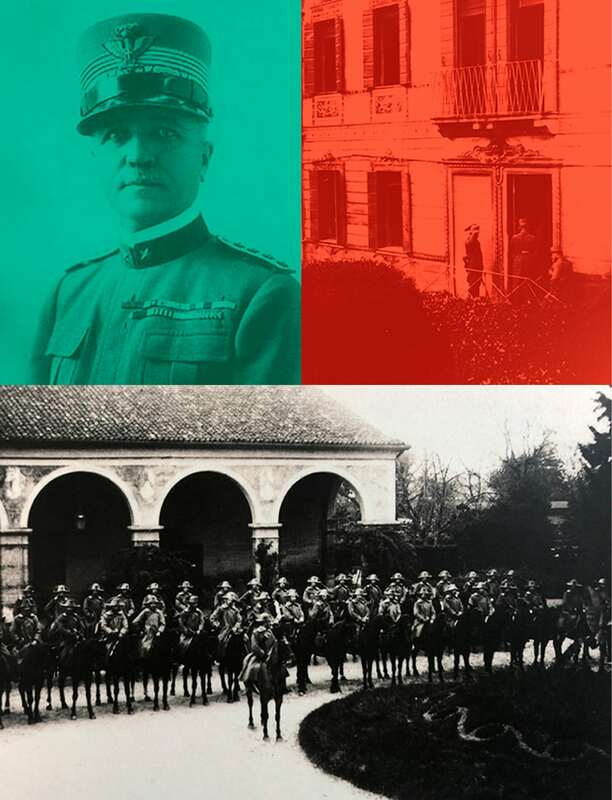 The new brand identity is characterized by the use of the colors of the Italian flag that we superimposed as chromatic filters on historical photos of the Villa in order to give life to a modern and recognizable design. 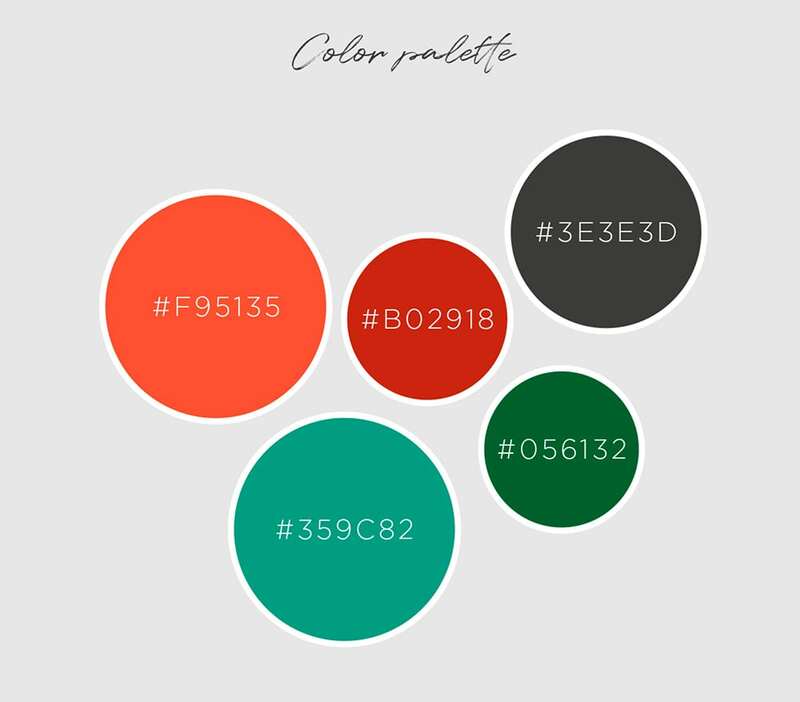 The website displays the choice of these images and provides users with current information that is both historical and curious. 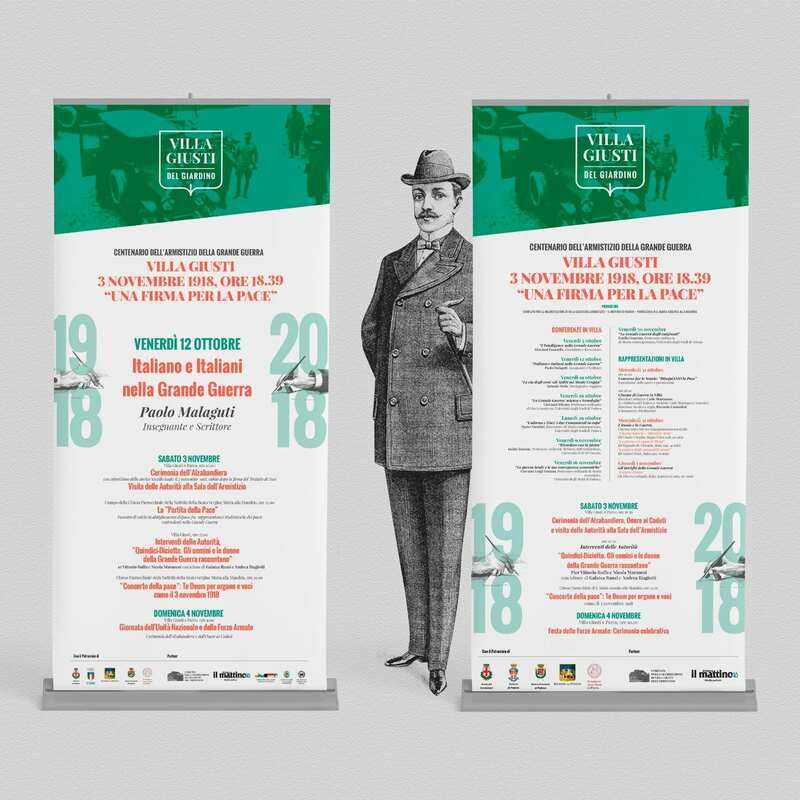 The project also entailed the production of an institutional video that, through strategic and emotion-evoking editing, tells the story of the Villa through the places and environments that best represent it.